Semi-precious crystals with pewter charms! Embrace the power of your dream symbols by wearing them as a good luck charms, protection tools or an empowering reminder! Charms come in either gold or silver. 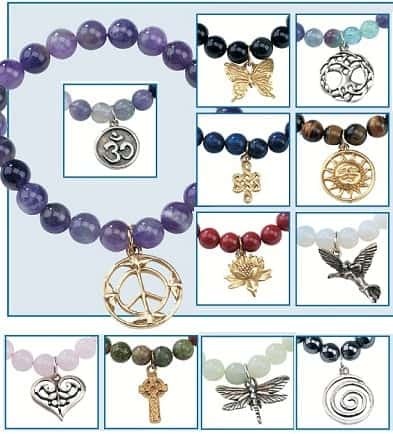 These beautiful charm bracelets combine the essential and metaphysical aspects of genuine crystals with a powerful, unstoppable symbolism! Consider a symbol of peace, or the face of the sun. Discover the tree of life or the Sacred spiral. 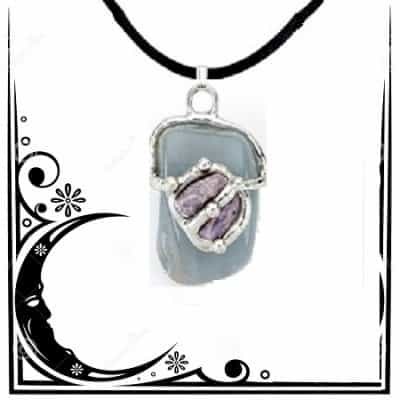 We add these symbols to some of the most power gemstone including the vision of amethyst, the happiness of citrine or the deep meditation of lapis lazuli. Enjoy our entire collection!